From Brown & Polson, Paisley, Scotland. 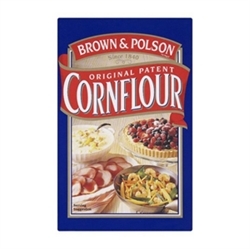 Brown & Polson Original Patent Cornflour is pure fine white corn starch milled from maize grain from which the outer hull and germ have been removed by a patented milling process. 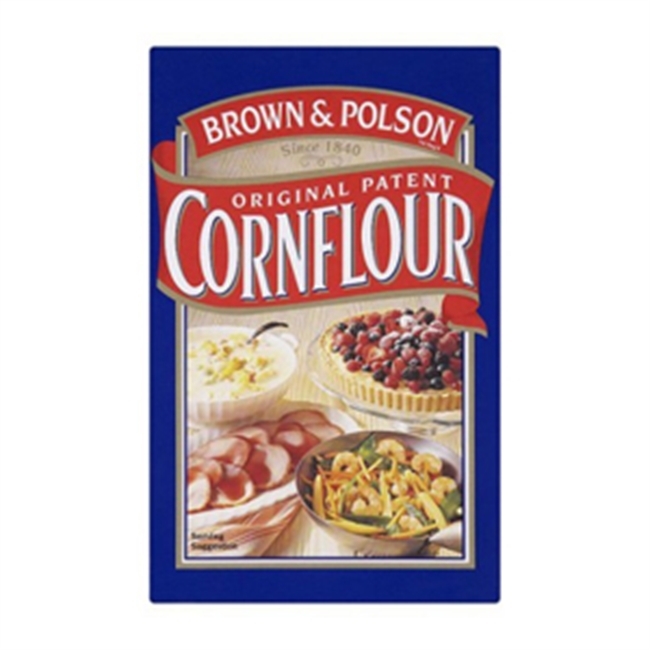 Because Brown & Polson Original Patent Cornflour is so finely milled it is naturally smoother than ordinary flour giving superior results when used in all your cooking.